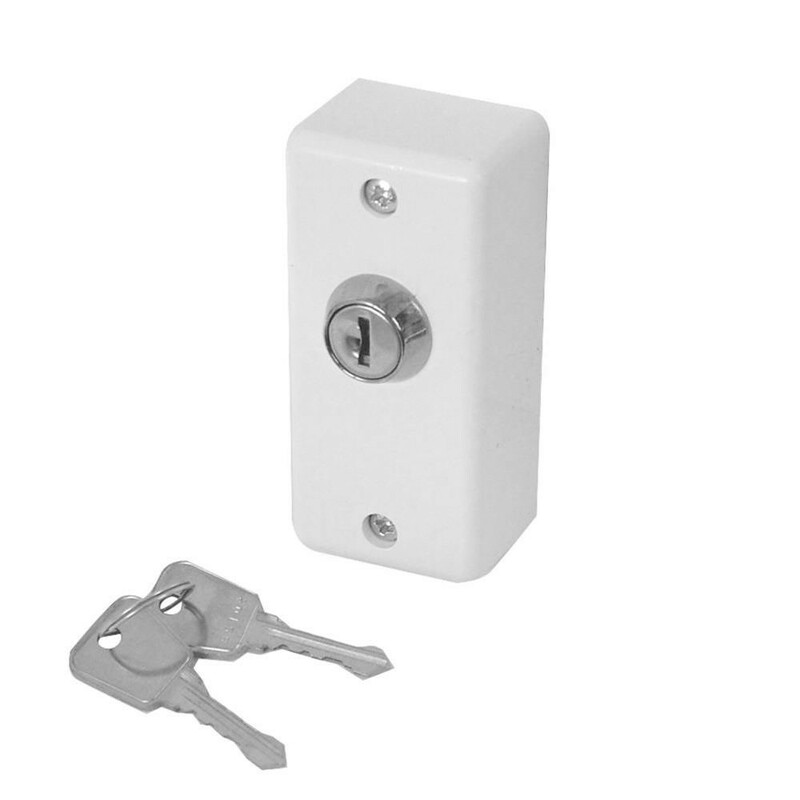 Asec Narrow Style Plastic Surface Mounted Key Switch has a chrome cylinder fitted into a white narrow style plastic box. It is supplied with 2 high keys which can be removed in either position and it contains single pole micro switch contacts. Surface Mounted. Supplied with 2 keys. Single pole micro switch contacts. Key is removable in both positions.